Currently viewing the tag: "BMV"
Is This Give-Away Report The New Property Sourcing Revolution? The UK’s biggest property buying and property investment educators, Progressive Property, have just released a fascinating new training report and video guide on CD that shows how property investors can identify and snap up properties at up to £25k off the market value, that are within walking distance of your own front door! Guided by Progressive Property’s Expert Buyer – Mark Phillips, this revolutionary property sourcing report is invaluable to every level of property investor, because it requires no ‘negotiation’ or ‘sales’ skills. Property investors just need to know what to look for, using a major property website that house buyers and renters use every day. The report is called “Property Sourcing Revolution” and details how you can buy property Below Market Value (BMV). There is a link below for you to get your free copy right now! Many new investors are being inspired by TV programmes like “Homes Under The Hammer” on the BBC, and there are a number of ways for people to purchase properties cheaply, and the auction rooms are the best places to find some real property bargains. Many property investors get tired of pounding the pavements in their local areas and scouring newspapers for great Below Market Value (BMV) property deals, only to lose out to first-time buyers who were quicker off the mark? Some property investors tend to scoff at the idea of buying properties at auction, leaving a handful of knowledgeable, savvy investors to pocket the best deals. Property auctions can be a real goldmine for property investors because many auction houses list properties out of their area, so the number of people bidding on them is low! That’s how some of the most unbelievable property deals are scooped up by amateur investors. Buying properties at a property auction is a great way to grab a real bargain and a fantastic way for landlords and property investors to expand buy-to-let property portfolios without breaking the bank, using specialist finance products. Latest figures from the Land Registry show that property repossessions have dropped in every region of the UK with falls in the past year ranging from 10 – 39% whilst property prices have continued to climb. The December 2013 data from Land Registry’s House Price Index (HPI) shows an annual property price increase of 4.4% which takes the typical average property value in the UK to £167,353. The monthly change from November to December 2013 showed a property price increase of 1.1%. But behind the good news there is a large North-South divide in property repossession volumes, with the number of property repossessions far greater in Northern England than the number of repossessions in the South, even after the recent falls. Property repossessions are a fantastic opportunity for would be property investors as the mortgage lender in possession of the property are only seeking reimbursement for their initial mortgage outlay, presenting below market value (BMV) opportunities for investors. Repossession volumes decreased by 31% to just 1,129 in October 2013 compared to 1,636 property repossessions in October 2012. The UK regions with the greatest fall in the number of repossession property sales were the East Midlands and the South West. There has been a sharp rise in the number of property investors snapping up property at auction and the reason has been credited to easier access to finance, as lenders report significant growth in lending, surpassing pre-property crash levels. The number of properties sold at auction is booming as property investors seek to build rental property portfolios below market value (BMV), without breaking the bank. There has been a huge increase in the number of loans that have been financed by specialist lenders over the past 12 months, with average loans increasing by more than 22% according to property finance lender, Auction Finance Limited. The news comes as the latest Essential Information Group (EIG) figures show a seven year high for UK’s auction houses, with lots sold in October 2013 up by 30% compared to October 2012. These record figures have now surpassed pre-recession auction house transactions. 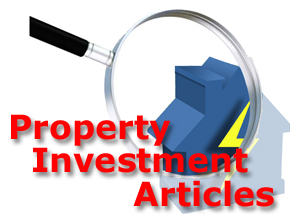 Are You An Ethical Property Investor? Below Market Value (BMV) from a motivated seller? This is a question that you may have asked yourself time and time again as there are certainly some property investors out there who don’t seem to act in a very ethical manner! We believe that if you genuinely look to help the property seller and put them first then you could find an ethical solution to their problem that will make you money at the same time. This is a very important concept to understand and get straight in your head if you want to be a really successful property investor who prefers dealing with motivated sellers face-to-face. What does it mean to be an ethical property investor? It means treating property sellers with respect and aim to conduct business fairly and having the courage to stand up for how you believe property investment should be done and not feathering your own nest. For this very important reason we recommend you watch this short video that the founder of the Property Investors Network (PIN), Simon Zutshi, released last year. The Office of Fair Trading (OFT) have announced that they are investigating 3 property quick sale companies for unfair practices after it was alleged that some customers had lost out on many thousands of pounds. Property quick sale companies offer to buy property from distressed vendors within a short time frame, however some companies have brought the practice into disrepute. The announcement comes as the Office of Fair Trading publishes a report on the sector, which found that property quick sale firms can be beneficial to consumers who need a fast, hassle-free property sale. In fact the OFT found that many other property quick sale companies in the sector were operating in an “open and fair” manner. Quick sale property providers offer to purchase properties from struggling consumers within as little as seven days, but at a discount – typically between 10% and 25% – of the property’s full market value. Tagged with: below market value • BMV • CAB • citizens advice • declining health • discounted • disposing of an inherited property • distressed • distressed sellers • dynamic • emigration • financial difficulty • Gaucho Rasmussen • GBP • Gillian Guy • innovative • Money Advice Service • Office of Fair Trading • OFT • Peter Bolton King • property investment • property quick sales • property sector • quick house sale • relocating due to a change of job • residential property • RICS • Royal Institute of Chartered Surveyors • sellers • tactics • trading practices • true market value • UK • vendors • Which? I was fortunate to attend the PIN National Conference at the weekend and I found the attitude of new property investors is far hungrier than my own property ambitions were when I first started out. These days property investors are becoming far more creative than they were a few years ago and new ideas and investment strategies are emerging almost daily that enable investors to control and profit from property using other people’s money, other peoples mortgages and even ways to profit without actually owning property. I started my property investment journey in 2005 when I bought my first property at a price that was significantly well below the true market value (BMV) and used that to leverage my position and raised enough finance to enable the purchase of a few more investment properties. 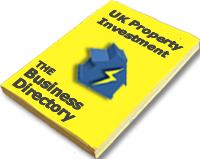 I entered the property investment arena reluctantly on the advice of my wife and I wish I had listened to her a few years earlier as I would have not dragged my feet and we would have bought significantly more investment properties before the peak of the UK property market was reached in 2007, followed by the property crash in 2008 as the financial reasoning of many western nations was rocked by the collapse of the US real estate market and the aftermath affected property markets around the world. My wife had realised far quicker than I had that there was profit to be made in property and she set about educating me on the benefits. It was one of those discoveries that changed my life and I remain eternally grateful to Rachel for opening my eyes to the possibilities that property investment can bring. The property crash forced property investors to examine the strategies that had previously enabled them to profit from property and the contraction of financial availability meant that investors had to become even more creative in order to obtain investment properties. Among the new strategies was the emergence of Lease Options (LO) as a method to control property without owning it outright in the UK. The opportunities seized on by property investors already existed and was already being used by investors to control residential property in other countries. This investment method kept savvy investors ahead of the game and has now become widely adapted as a mainstream strategy.